So it finally got above 10 degrees so that means it is time to grill! I picked up a flank steak and thought some grilled/braised cabbage would be a nice accompaniment. Plus these can both be done on the grill for an easy dinner. 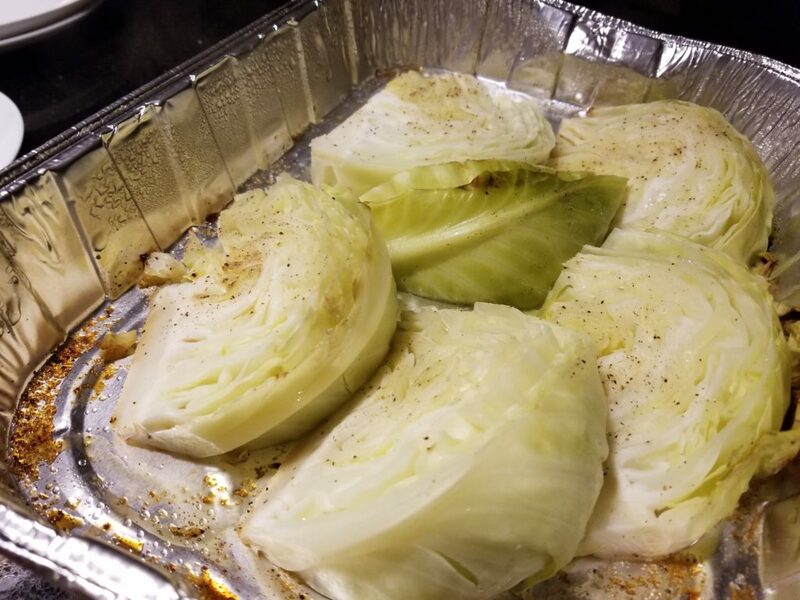 Cut the cabbage in to eights and place in a foil pan. Spread butter on the cut sides then season with salt and pepper. Cover tightly with foil and it is ready for the grill. You will want to grill at a high heat. With the Traeger that means 400-450 degrees. 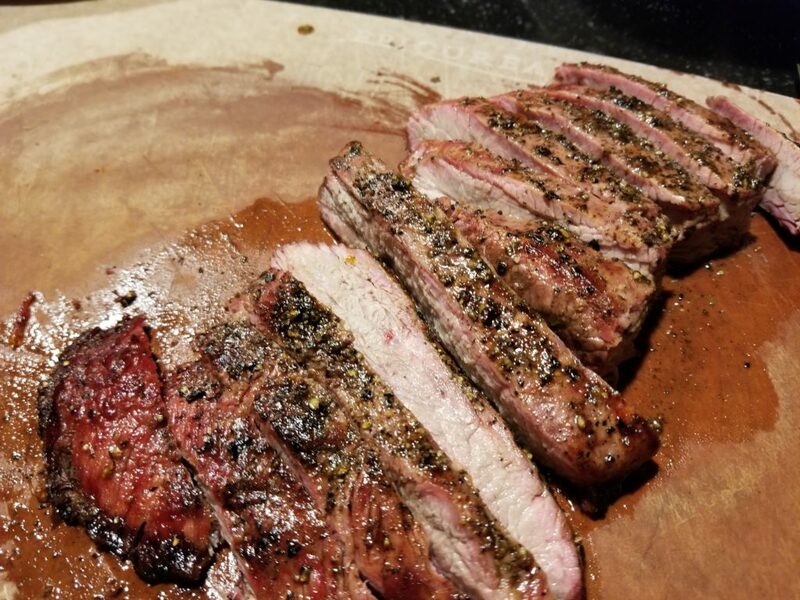 For the flank steak, drizzle with olive oil and season both sides with salt and pepper. Grill both for about 20 minutes. Let the steak rest for about 10 minutes before slicing. 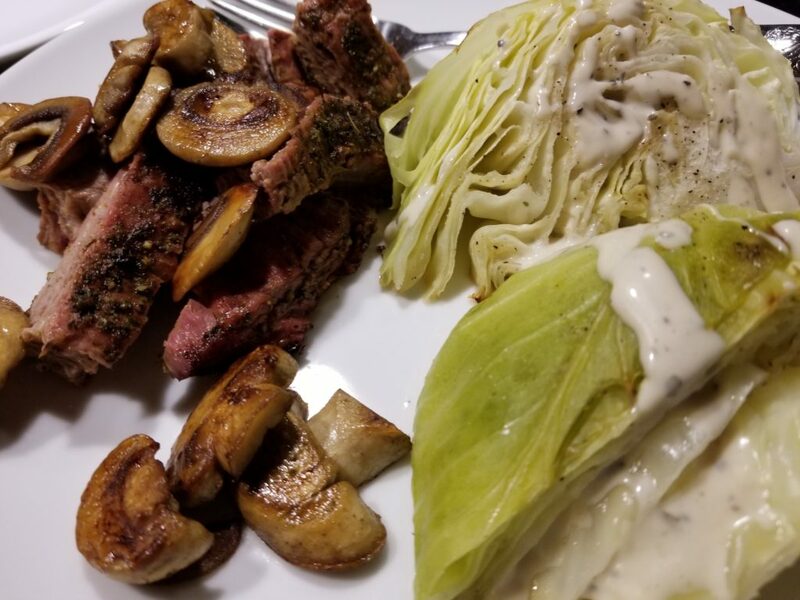 I sauteed a few mushrooms to add to the steak and had a little peppercorn ranch for the cabbage.